Otherworldy Creatures presents the Unicorn Art Show 5! Over 100 artists have come together in a group exhibition comprising various mediums and expressions in honor of the Great Horned One, and now, any fantastical creatures they wish to create. If you missed the previous Unicorn Art Shows due to duels, side quests, or magic curses, this is your opportunity to find renewal of purpose! Visit the Robots during the biggest art crawl of the year! Northeast Minneapolis will be celebrating the creative life all weekend long. If you want to add Robots to your weekend jaunt, you’ll want to drop in to this special exhibit in one of Northeast’s favorite local hangouts. Robots and Donuts is a proven winning combo. Prove it to yourself! Stay tuned for details & opening night party info, or follow Fox Den on Facebook. **Show is complete as of Oct 1st due to a shift with cafe scheduling. Please contact me directly for any inquiries! THANKS!!! The Robot adventure continues with another ice cream invasion of the Linden Hills location of Sebastian Joe's scoop shop. Get your next after school treat here and find out which Robot shares your favorite flavor! Night Art Gallery is open Monday through Saturday from 5:00pm to 11:00pm. Night Art Gallery offers 30+ concurrent artist exhibitions where visitors can view over 300 original artworks in many styles. Night Art Gallery wants to be the entertainment alternative to bars and restaurants with lots of great diverse art, ever changing art exhibitions, upbeat background music, non alcoholic beverages and late evening hours. Night Art Gallery is located a short 40 minutes from Minneapolis and St Paul in downtown Lindstrom, MN 55045, right on Highway 8. It's summer! Time for ice cream! Time for ice cream AND ROBOTS! 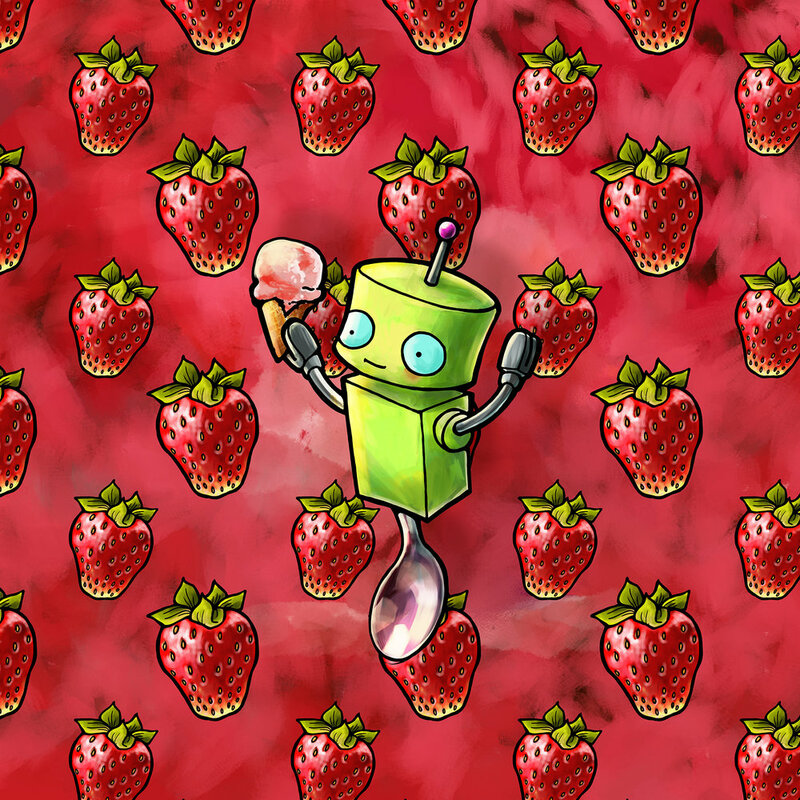 The latest Robot invasion is all about sweet summertime treats. We've got you covered with fruity patterns, silly smiles, and local landmarks populated by cone wielding Robots. Stop by Sebastian Joe's ice cream parlour to get your fill of color and flavor! Pleased to announce the latest exhibit of the Robot B Sides! Join us Saturday, August 12th from 5-8p.m. to welcome new work from Inside The Robot at Showroom. These Robot B-Sides are taking over and we can't wait for you to experience them. Read more about the art at MPLSART.com! new extended exhibit dates! now on view until May 27th! Drop by Salon Ori in St Paul to see a wonderful display of the most recent Robot artworks. On View now through the end of April. Digital prints, prints on canvas in many sizes, framed prints, and coloring books available for purchase. No appointment necessary - open regular business hours. Call (651) 642-1166 for info.